This is a step by step recipe for preparing tasty Ghadichi Poli or Ghadichi Chapati. This is a folded Chapati prepared in the typical Maharashtrian style. First take Wheat floor then add Salt & 1 tea spoon Oil and mix it well. After that knead the mixture to make medium thick Dough and keep aside for 30 minutes. Before making Chapati again put 1 tea spoon Oil and mix the Dough well. 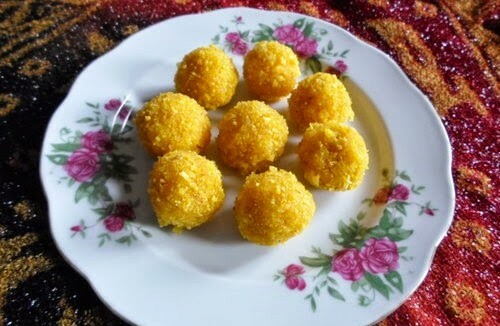 Then prepare 7 -8 small balls and prepare small sized Puris and spread one tea spoon Oil over the Puri and fold the Puri into a triangular shape. Heat the Tava put the Chapati on the Tava and fry from both sides. Then spread ghee on the Chapati. Serve hot with Vegetables.